Yelich, who homered three times on Monday, was the first batter faced by Helsley, who debuted with two on and two outs in the fifth. 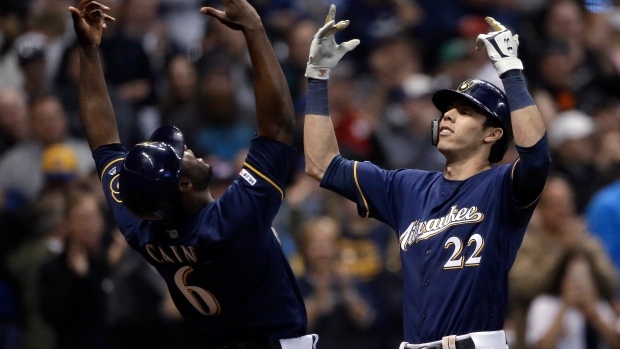 Yelich fell behind 0-2, evened the count and then fouled off a 98 mph fastball, before sending the next pitch 427 feet to right centre for his ninth home run, putting Milwaukee up 8-0. "I don't want to disrespect the rest of their lineup. Cain did damage. Moose has had a good series," Cardinals manager Mike Shildt said. "They are a very capable club. I don't want to misrepresent that at all. You look at it in a holistic manner, and you remove Yelich, numbers are a lot more favourable. The reality is we can't do that. We got to be able to figure out a better solution. I keep saying that and we've got to do it."